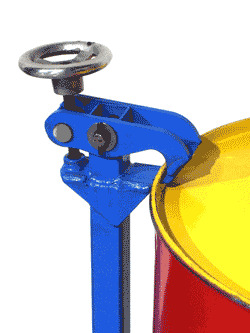 One Person can safely and easily lift, move and control the puring of a 55-gallon steel drum weighing up to 800 lbs. with minimal physical effort. 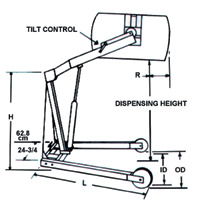 Simply control the dump tilt angle and the contents are discharged straight forward directly from the drum. 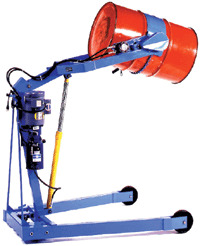 There are many options to handle a variety of plastic, steel and fiber drums. Please call ZORIN (888) 378-6525 to discuss your application and options . 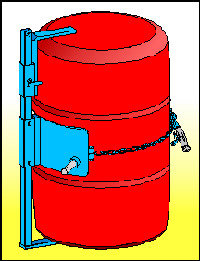 IMPORTANT Determing "Drum Reach"- R, H, L, O.D. and I.D. 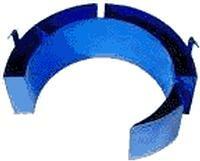 dimensions are very critical in determing if the unit will work in your application. Please see drawing. Give us a call (888) 378-6525 if you have any questions. Custom models are available. Model MO-400A-60 - R=8", H=55", L=60", O.D. = 44", I.D. = 37"
Model MO-400A-72 - R=8", H=55", L=60", O.D. = 44", I.D. = 37"
Model MO-400A-96 - R=-4", H=69", L=76.5", O.D. = 50", I.D. 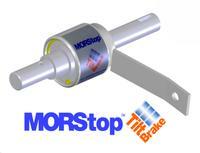 = 43"
Model MO-3900i-P - MORStop Tilt-Brake Option Highly Recommended!